(a) Using a clip remover, remove the 2 clips and audio amplifier cover. (a) Disconnect the 4 connectors. 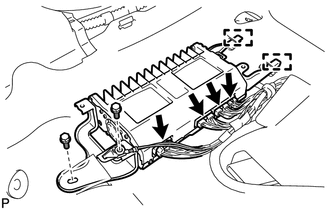 (c) Disengage the 2 guides and remove the stereo component amplifier assembly. 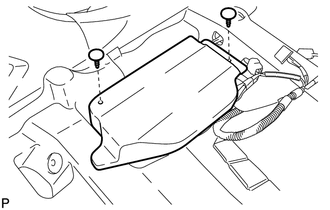 (b) Install the stereo component amplifier assembly with the 2 bolts. (c) Connect the 4 connectors. 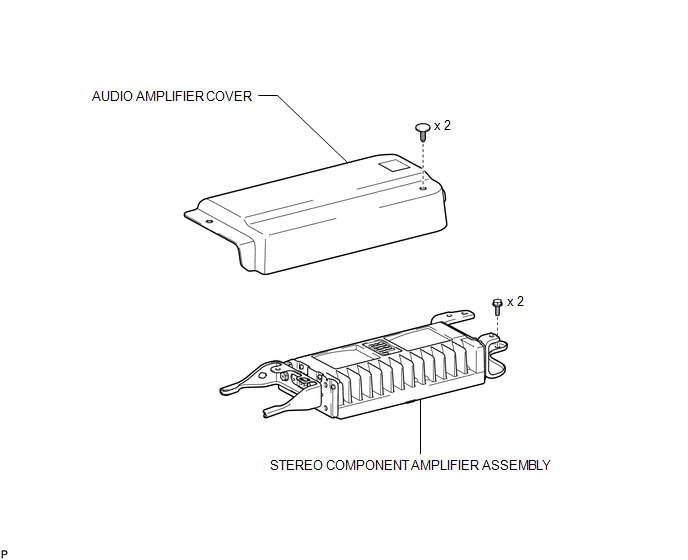 (a) Install the audio amplifier cover with the 2 clips.